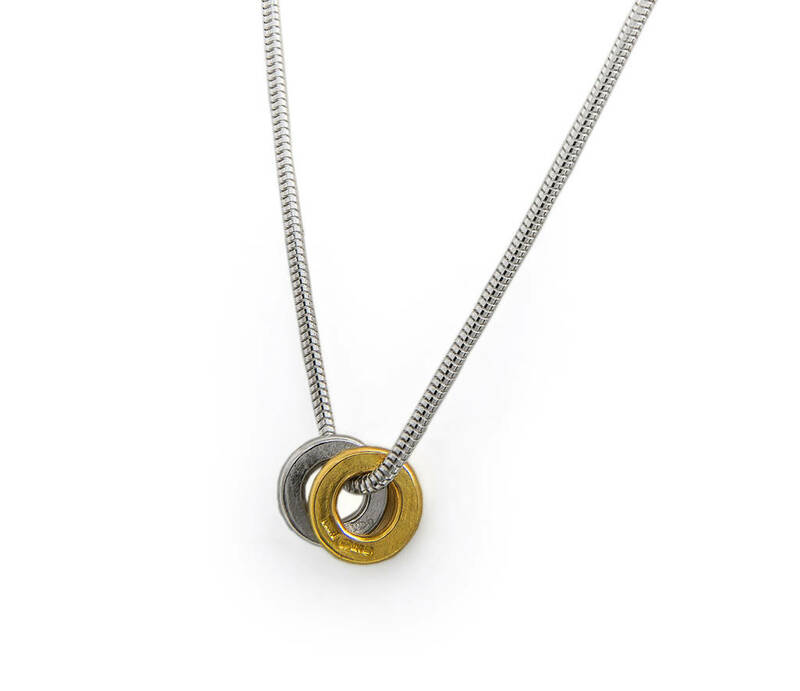 A stunning necklace with two hand-made loops, hammered on one side and soft textured on the other, nestling together on a slinky snake chain. 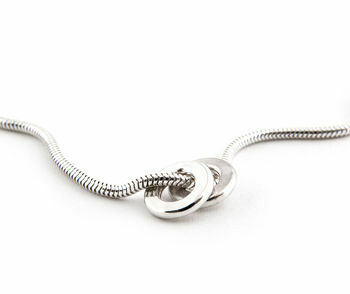 A contemporary, simple and elegant necklace, designed to be worn with any outfit, day or night. 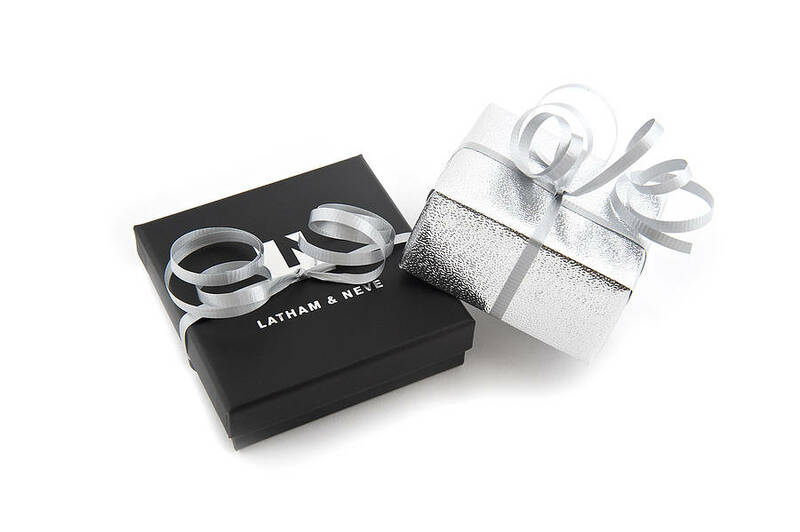 The necklace is presented in a stylish gift box or pouch exclusive to Latham & Neve, making it the ideal modern gift. Its made to be worn and its ready to gift! 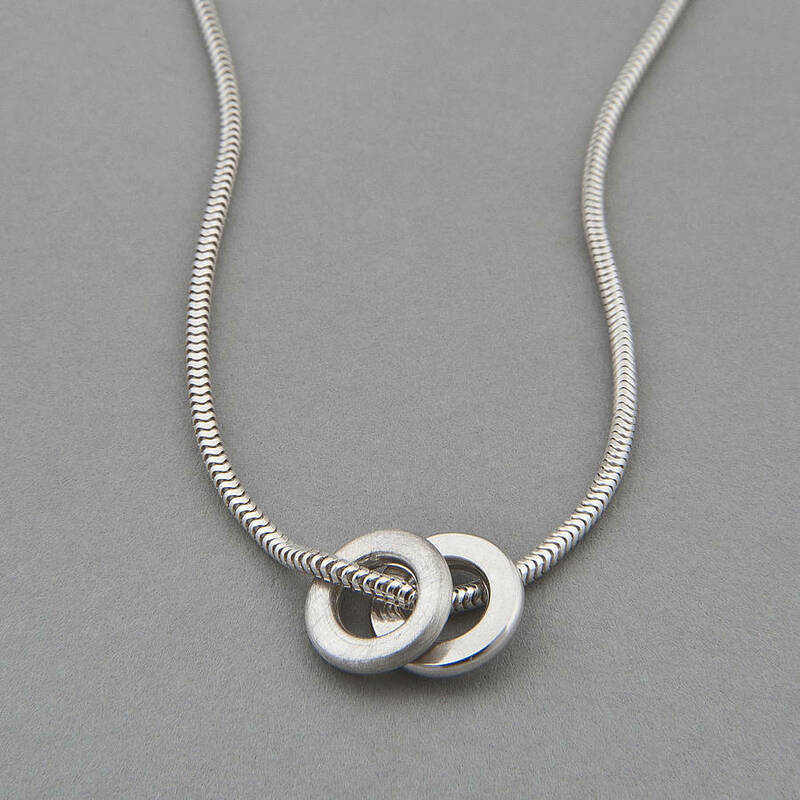 This silver necklace comes in either all silver OR Silver with one silver and one 18ct gold ripple. 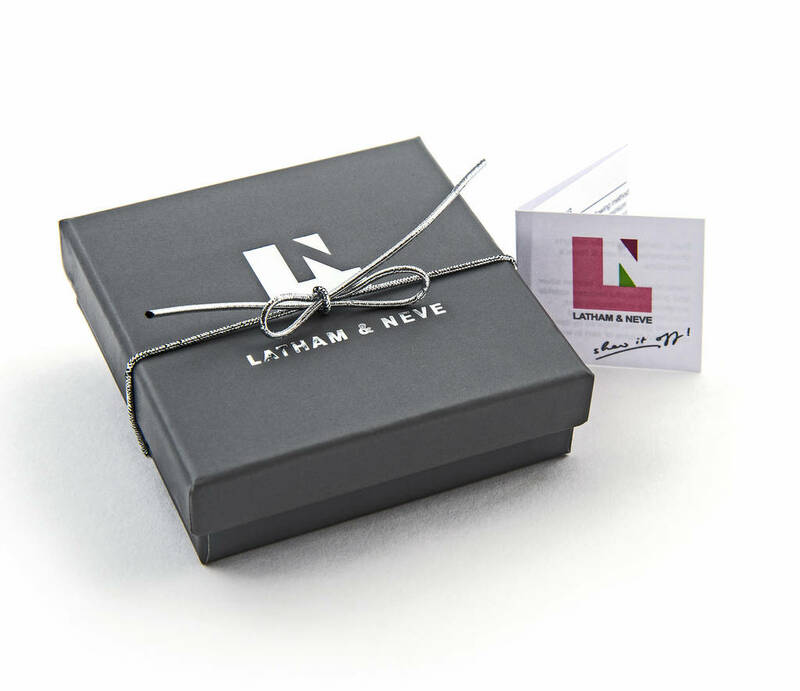 This product is dispatched to you by Latham & Neve.